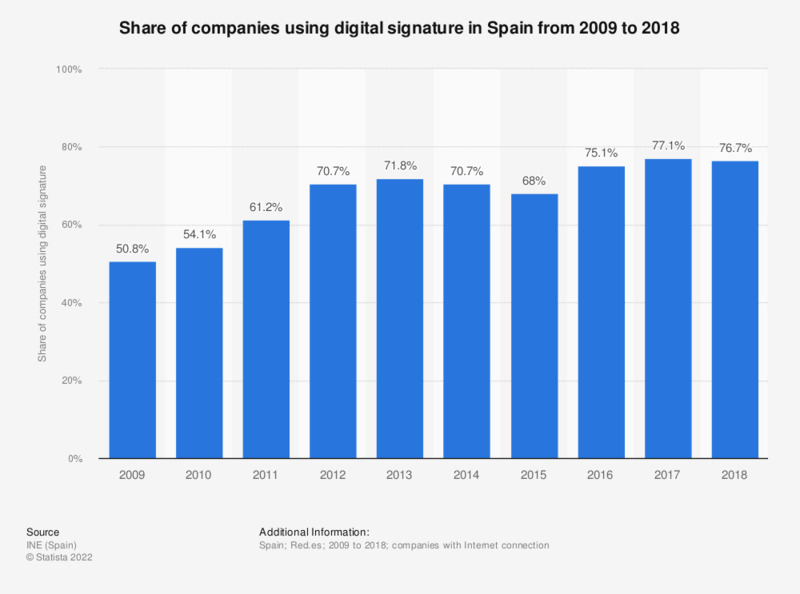 This statistic displays the usage of digital signature among companies in Spain with internet connection between 2009 and 2017. Approximately 77 percent of companies with internet connection used digital signatures in 2017. * The percentages are calculated with respect to the companies with internet connection. Which of the following do you think are the biggest advantages of the Internet/ICT for your business strategy?